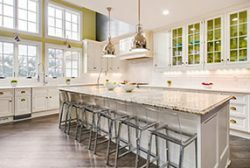 A time-honored choice for countertops, marble is a classic that is versatile enough to look good in all sorts of kitchens and bathrooms. In considering a marble countertop for your home, it is often chosen for its beauty and strength. Marble is, in the opinion of most, gorgeous. 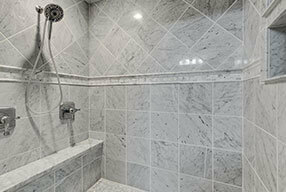 Natural stones such as granite and marble are just some of the best choices by homeowners or industrial builders. The multitude of colors, combinations of various colors, pattern variance usually can make the marble material a perfect fit with any decor. Many people automatically think of creamy, white stone when they think of marble however there are hundreds of varieties, including types that are taupe, green, gold, red, and black. 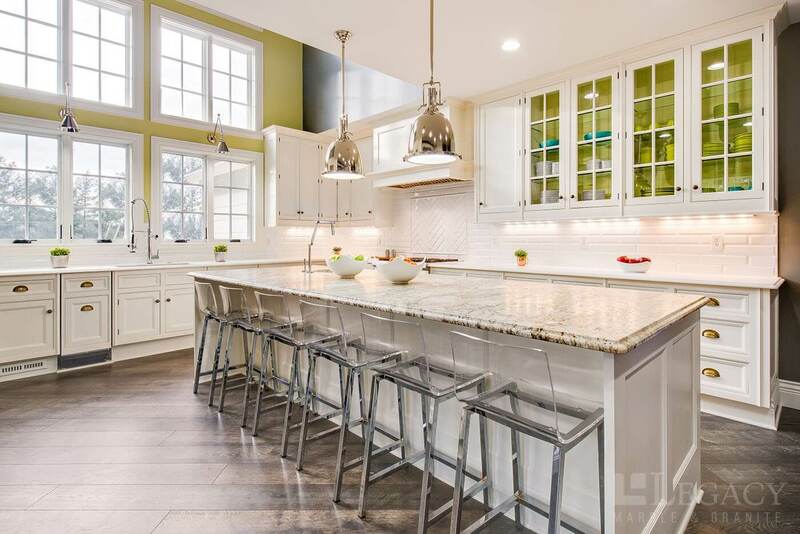 While classic Italian white marbles like Calacatta and Statuario are generally excellent quality and a great addition to any kitchen, there are other high-quality Italian marbles with variations in color available. Every stone slab is slightly different, so it is ideal to select the exact pieces of stone that will be used for your countertops. There is an art to marble—selecting the slabs and understanding where the veining is going to be located on the countertop. You want to artfully place the markings so that it is almost like a painting. The most common finishes are polished, honed, and leather (also known as antique). 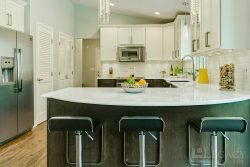 Finish affects the look and performance of marble countertops; here is what to know about each. Honed (or matte) finish: Created by sanding the marble so that is has a satiny-smooth, almost soft feel, a honed surface does not show as many scratches and etches as a polished finish, and it mutes the color of the stone. Polished finish: A grinding and buffing process results in a high-gloss slick surface, favored for bringing out the details of the marble’s color, veining, and character. Leather finish: This option is created by adding a leather-like texture to a honed surface. It has a soft sheen, but is not reflective like a polished finish, and is most commonly used with dark marbles. 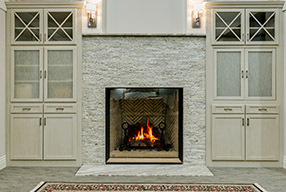 Note that the amount of texture created in the process varies from stone to stone. Besides its natural beauty, there is a reason marble has historically been so popular for sculpture: It is easy to work with tools. Add modern computer numerical control (CNC) milling machines to the equation and almost anything is possible for kitchen decorating. There are countless edge profiles to choose from, but many prefer a simple eased edge, which takes the sharpness off a straight 90-degree corner. A bull’s nose, which has the profile of a half circle, is also a timeless favorite and functional winner. It is even possible to engrave the edge of a white marble countertop with a pattern of your choosing. Acids will etch the surface of Marble but fortunately, if the countertop has a honed finish, an etched mark may not be noticeable or it can usually be removed by scrubbing with a Comet paste using a Scotch-Brite pad. The good thing about marble is that you can always sand it down or polish it again. With many other materials, once you damage it, you cannot do that. When you install a true marble countertop or vanity, you have the opportunity to select a 100% unique slab. No other kitchen will have the exact same veining and characteristics that you have in yours.